It’s June, and that means it’s Strawberry and Rose Festival time here in Portland! With the Rose Festival happening this weekend in Portland, we are also being invited to honor the Strawberry, as June is it’s month and time to shine, in Oregon. Actually, the strawberry should feel right at home here in the City of Roses, being that it is a member of the rose family. Fragaria, commonly known as the Strawberry, is a genus of flowering plants in the rose family, Rosaceae. This marvelous work of God, the originial strawberry, is known as the Woodland strawberry and grows wild all over the Northern Hemisphere. It serves as food to many animals in our forests, woods and plains. 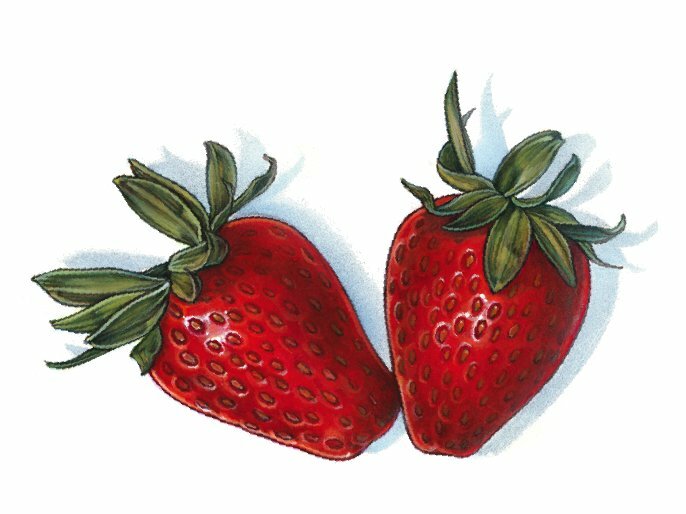 It was first culivated in Europe where it eventually became the Garden Strawberry that we know today, a fruit that is much larger than the Woodland. This month, Strawberry Festivals abound in mary areas, beginning June 5th in Lebanon, OR where they serve the “world’s largest shortcake”, to St.Paul Oregon’s Strawberry Festival at French Prairie Gardens June 11th thru 19th, Gales Creek Strawberry Festival on June 12th ,and Dixie Mountain’s Annual Strawberry Fest on Father’s Day, June 19th. This is the time that we should plan to enjoy these tasty strawberries perhaps with some shortcake, whipped cream or ice cream and attend at least one of these festivals that usually have lots of fun activities besides eating strawberries. Just thinking about that plump, juicy, red fruit causes my mouth to water and most people I know feel the same. Since June is my birth month, I share a special affinity to strawberries and roses, and I surely do plan on enjoying both of them this weekend ! I hope you will make plans to do that also.